Christmas 2014 is proving to be a much cheaper for many consumers as lower fuel prices has also brought down the price of other commodities including food and other goods. Supermarkets have led the way in cutting the cost of petrol at the pumps. 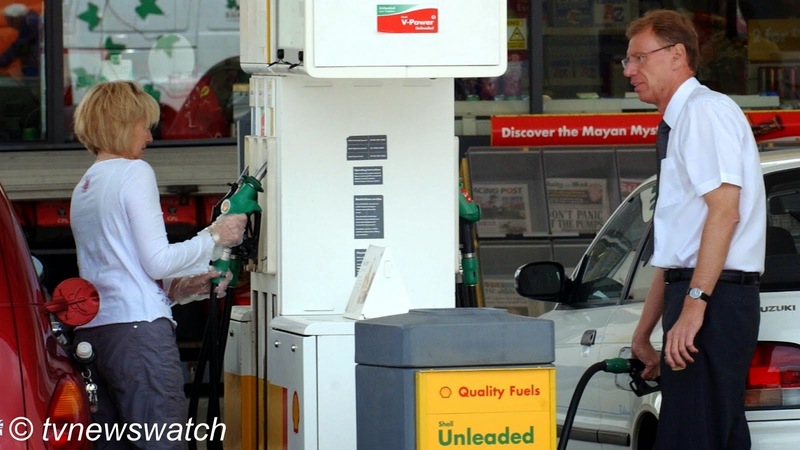 In September, Asda's petrol price was as high as 126.7p a litre, with diesel at 129.7p a litre. However recent reductions have seen Asda customers paying no more than 110.7p a litre for petrol, with the company's diesel costing 117.7p a litre. Other outlets have also slashed prices. In January was diesel was priced between 134.9p and 142.9p a litre at many forecourts. However, there are few outlets charging more than 130.9p a litre with petrol prices significantly cheaper. According to the RAC the average price for a litre of petrol was currently 116.9p, nearly 14p a litre cheaper than at the start of the year. Meanwhile, diesel was nearly 16p cheaper at 122.33p a litre now, compared to an average price of 138.24p in January. But prices could fall even further with some suggesting that petrol may drop to only a pound per litre. The RAC has said that petrol could dip below £1 a litre in the new year, which would take prices at the pumps to their lowest level since the end of May 2009. Not everyone is so optimistic. AA president Edmund King was more cautious saying crude prices would need to drop significantly to bring forecourt prices so low. "With duty on each litre of fuel at 57.95p and VAT around 20p, plus the pound at its lowest level against the dollar for three months, it would take another almighty drop in crude prices to reach £1 a litre at the pumps." "Drivers would love to see £1 per litre but a white Christmas might be a better bet at the moment. However, for canny drivers there are still variations in pump prices of up to 5p litre in the same town. So shop around and make the most of the lower prices." The Petrol Retailers' Association have also dashed such hopes with chairman Brian Madderson saying the notion of £1 a litre "stretching imagination too much." "Oil would have to fall to $25 a barrel for us to get to £1 a litre, when even the Saudis would wince. I would be very surprised if we saw it fall below $50 a barrel, even in the best case," Madderson added. Nonetheless, there have been dramatic falls in the price of crude over the past few months. Oil has fallen by more than 46% from a high of $115.06 a barrel in June. The slide is a result of a plentiful supply of oil from the US, where shale oil produced by fracking has transformed output, and from the mainly Middle East Opec group of oil producers, led by Saudi Arabia, which have refused to reduce production to push up the price. Motorists have certainly seen the effect of lower fuel prices. "Filling up the car is dramatically cheaper than a few months ago," one driver filling up his Jeep at a Texaco service station said. "Back in June it cost me over £70 for full tank but now it's closer to £50." The falling price of petrol is has had a knock on effect in other areas. Economists believe the lower oil prices will contribute to a fall in inflation. Tumbling oil prices, cheaper petrol and falling food costs has already pushed inflation to its lowest level in more than a decade in November. In a welcome boost in the run up to Christmas, shoppers are finding extra benefits of falling oil prices. With shipping and manufacturing costs down, so the prices of goods in the shops have fallen. Indeed some experts suggest that households in Britain could continue to benefit from falling inflation in the coming months, with some predicting that price rises, as measured by the consumer prices index (CPI), could fall to 0.5% next month. This would represent the joint lowest rate of inflation since records began in 1989. November's figures showed food and non-alcoholic beverages fell by 1.7% on last year, the steepest drop since June 2002. Meanwhile according to figures published by the British Retail Consortium food prices have fallen for the first time in at least eight years, promising lower bills at Christmas and into the New Year for many shoppers. The drop in prices comes amid fierce competition between all the major supermarkets under pressure from German brands Aldi and Lidl. The two German supermarkets now command a record 8.6% slice of the supermarket sector. Sales at Aldi soared by 22.3% on last year, while Lidl saw an 18.3% surge. Asda, Morrisons and Sainsbury's have suffered declines though the more upmarket supermarket Waitrose has enjoyed a 6% rise in sales, extending a run of growth dating back to February 2009. In order to entice customers big supermarkets are bombarding families with money off vouchers for food and fuel in a bid to get them through the doors. Consumers have also benefitted from a flurry of pre-Christmas sales. Black Friday and Cyber Monday kicked things off in early December but some retailers have continued to slash prices further as the festive season approaches. There are certainly bargains to be had with technology goods in particular being sold at knock-down prices. For those with surplus cash there isn't a better time to spend. With unemployment also falling and new data suggesting much of the Eurozone economy growing there will be many having something to celebrate as 2015 approaches. Not everyone is benefiting from lower oil prices however. Venezuela loses around $700 million for every dollar drop on the price of a barrel of oil. Russia has also lost out too. Russia requires oil to be set at around $110 per barrel just to balance its economy. Sanctions, low oil prices and other factors have severely impacted on Russia over the last year and attempts to support the financial system has resulted in higher interest rates and rising prices.